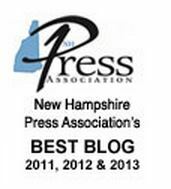 Last week I wrote a story about a culvert that collapsed in the city of Concord. As part of discussion with General Services, the generically-named city body that includes the street department, I asked a question: How many culverts does Concord have? I wondered if my delusion was widespread so I created a Twitter poll, the results of which you see above. I deliberately crafted the multiple choices so that they’d under-guess – if there are four choices, it’s never the smallest or the biggest, right? – but participants weren’t fooled. Obviously this is as unscientific as it gets, so read nothing significant into it. 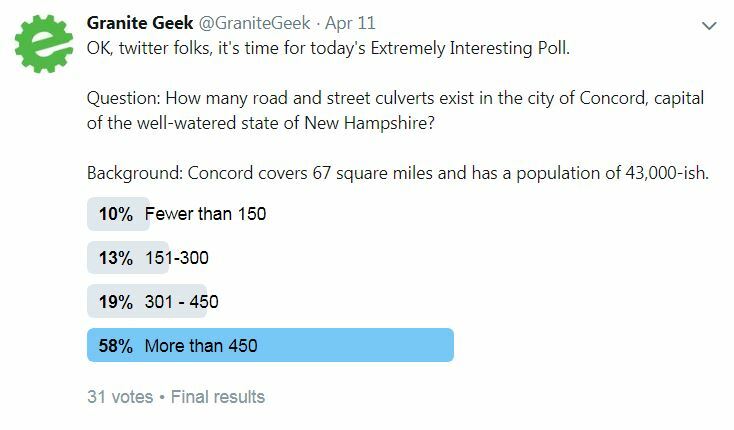 Incidentally, the realization of how many culverts exist in Concord just supports my belief that the lowly culvert is the canary in the coal mine for urban infrastructure being affected by climate change. 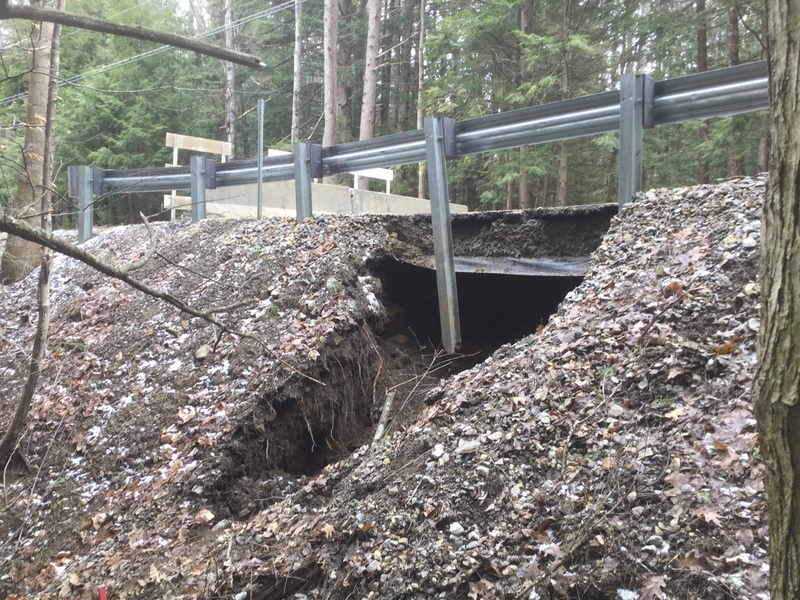 Heavier rains are going to be knocking out culverts far more frequently in the future because we’ve sized them for a climate that is disappearing. Why does every “story” you write, end up with Climate change? I’m a grown-up – I don’t try to hide from reality.